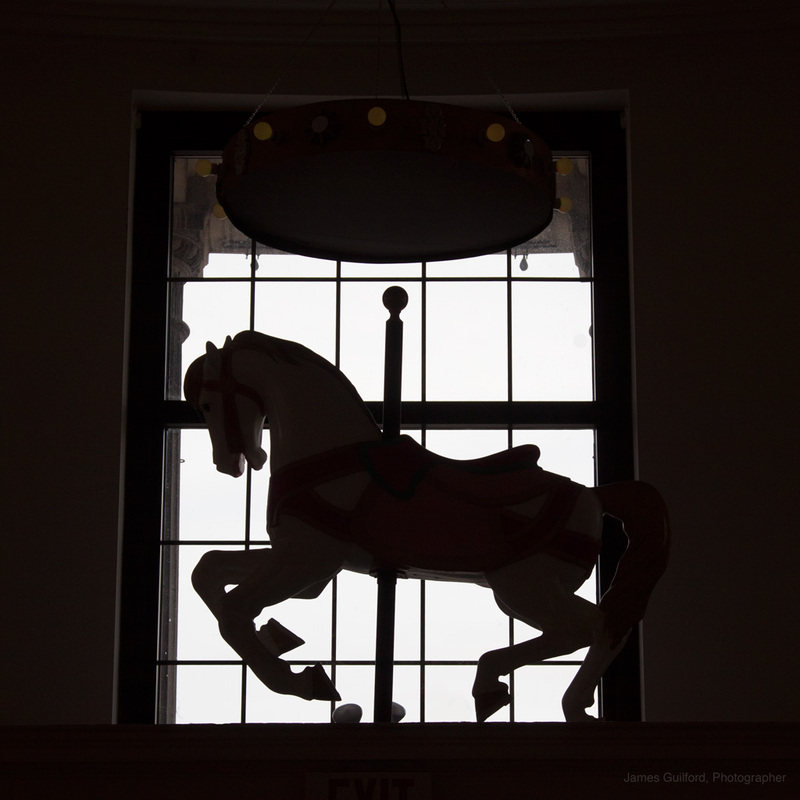 A carousel horse stands in silhouette over the museum entrance. 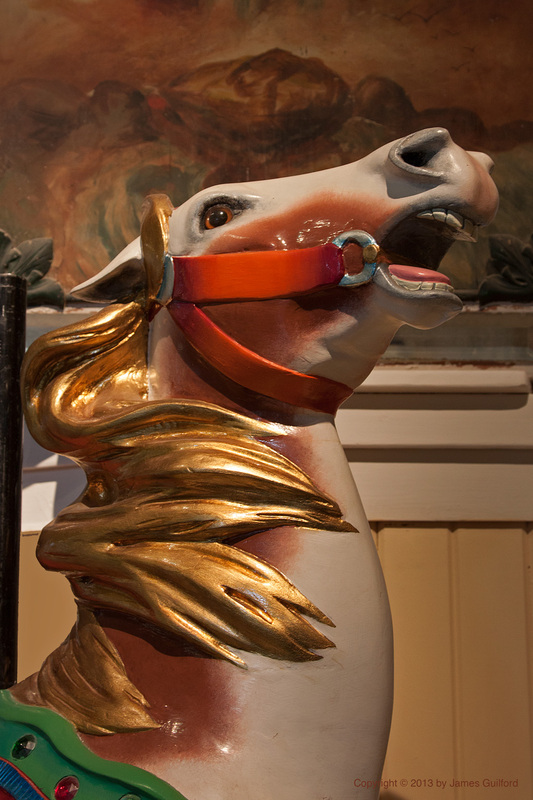 Today we paid a return visit to the Merry-Go-Round Museum in Sandusky, Ohio. The museum occupies a former Post Office and federal office building in the heart of downtown. Its centerpiece is a full-sized, operating carousel which is surrounded by displays of carved ride animals. In addition to the carvings owned by the museum, several pieces on display belong to collections owned by individuals and businesses. Most of the carvings are beautifully displayed while a few are in their original condition. A carver works in a corner of the main exhibit area demonstrating the tools and techniques of restoration and of carving new ride figures. I have always had a love of traditional carousel band organ music and was treated to a performance. A restored and fully-funtioning machine stands in the main room with its open back to a panel of windows. Band organs are usually very loud and to stand so near one in operation was, while a joy to me, a bit uncomfortable. Stepping around to the other side of the windows, however, gave me insight into the wonderful musical contraption. The cymbals, drums, and other percussion instruments were played using compressed air actuators. The organ pipes, of course, also used compressed air. All of the air came from a couple of sets of bellows. And controlling the whole operation … a tiny perforated scroll, just like that used in player pianos! A wonderful contraption, indeed! A beautifully-restored outside row jumper. ca. 1915, by Marcus Illions.